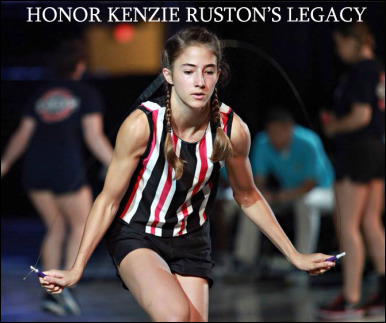 Thank you for helping us to honor teammate kenzie ruston with 24 hours of jumping! Jump in on the fun with jump rope classes and camps at the new Bouncing Bulldogs Community Center: the first jump rope gym in the world built from scratch! 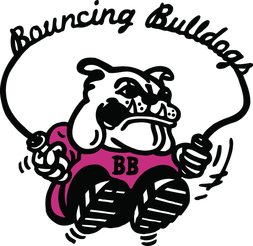 The goal of the Bouncing Bulldogs program is to promote jumping rope for fun and fitness, and to help all children grow physically, emotionally, socially and academically. CHANGING LIVES AND SAVING LIVES. Each year, the team teaches and performs worldwide in front of thousands of spectators, including sports fans, health and fitness professionals, corporate employees, students, educators and the general public. The team has won more than 200 national and international championship awards in both single and double dutch events and has 18 world champions.